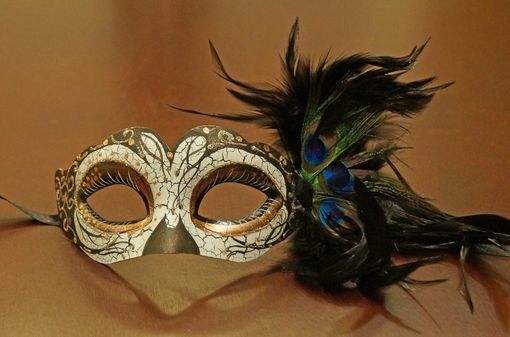 Trylina masquerade mask has a unique shape and is hand painted. This masks also has large peacock feathers on left side of mask. Mask comes in two colors and secures with black ribbon ties.